(NaturalNews) When a chemical has the ability to change the gender of frogs and completely warp the mating habits of amphibians, shouldn't that chemical be considered a threat to life on the planet and be forbidden from use? Why would the science community and government regulators want something this hazardous to persist as an agricultural chemical? Why would anyone want this chemical sprayed all over their food and then left to soak into the ground and the water supply? When that chemical is sprayed onto a country's farmland to the tune of 80 million pounds a year, shouldn't the people be a little concerned? Or should the gender changes of amphibians and the castration of animals' reproductive abilities be celebrated with parades and rainbows? Does anyone care about endocrine system health? Atrazine, one of the most commonly used pesticides in America, causes sexual changes in amphibians by disrupting their endocrine system. When animals' hormones are altered to the point where their gender is no longer relevant, then reproduction and the natural cycle of life is destroyed. When this castration of nature is disregarded, ignored, or even celebrated, all dignity of life on Earth is lost. In a historic settlement, the Environmental Protection Agency will be required to assess the negative effects of the herbicides atrazine and glyphosate. The Center for Biological Diversity led the charge. The EPA will now be required to investigate how these herbicides impact 1,500 different endangered species. In addition, the EPA will investigate the impacts of two other pesticides similar to atrazine – propazine and simazine. The assessments are to be completed by June 2020. "This settlement is the first step to reining in the widespread use of dangerous pesticides that are harming both wildlife and people," said Brett Hartl, endangered species policy director at the Center for Biological Diversity. "Atrazine, for instance, chemically castrates frogs even in tiny doses, is an endocrine disruptor, and likely causes birth defects in people. The EPA should have banned this years ago." 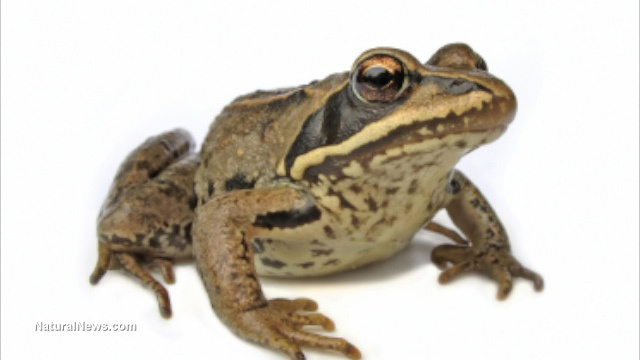 The dangers of atrazine don't begin and end in amphibians. Studies show that atrazine exposure causes increased risks of thyroid cancer, reproductive harm and birth defects in people. Equally dangerous is America's herbicide of choice – glyphosate, which is infamously found in Monsanto's Roundup. Some studies have linked glyphosate to the decline of the monarch butterfly, a key pollinator. Now declared a "probable carcinogen" by the World Health Organization, glyphosate acts like an antibiotic and can destroy the natural microbiome of humans, leading to leaky gut and ultimately welcoming an influx of toxins through the gut wall into the blood. "This settlement will finally force the EPA to consider the impacts of glyphosate — widely known as Roundup — which is the most commonly used pesticide in the United States, on endangered species nationwide," said Hartl. "With more than 300 million pounds of this stuff being dumped on our landscape each year, it's hard to even fathom the damage it's doing." This settlement comes on the heels of last year's settlement with the U.S. Fish and Wildlife Service. Last year, the Center for Biological Diversity won a settlement requiring the agency to analyze the impacts of five pesticides on endangered species across the country. These pesticides, carbaryl, chlorpyrifos, diazinon, malathion and methomyl, are all toxic to wildlife and human health. As the EPA begins to assess glyphosate and atrazine, will their findings prompt action? Will the agency continue to approve the herbicides for widespread use? The American people must decide whether their current chemical-based agricultural system is worth a future of reproductive issues, cancers, sexual changes, hormone problems and birth defects.